I include, for your reference, the above image. I could have easily just included the image, without that sentence, or the awkward comma pauses. In fact, this entire paragraph is superfluous. 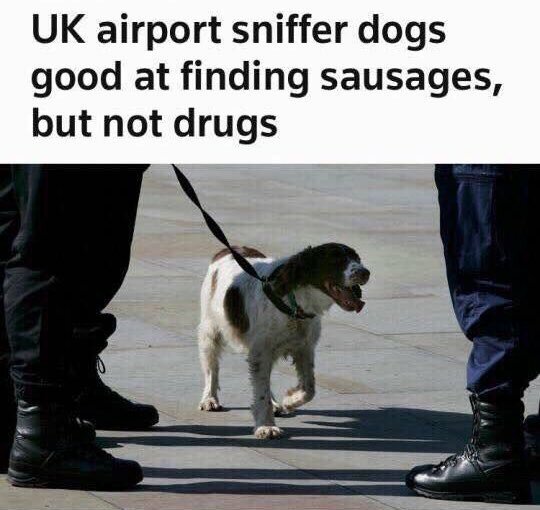 I was feeling blue from feeling so sick over the last week, but I saw this image in the context of airport dogs finding sausages but not drugs, and it made me smile. Look at his expression! Who’s a good boy? Who’s a good boy?! I miss having a dog. Update: I found the original article, by Reuters in 2016.